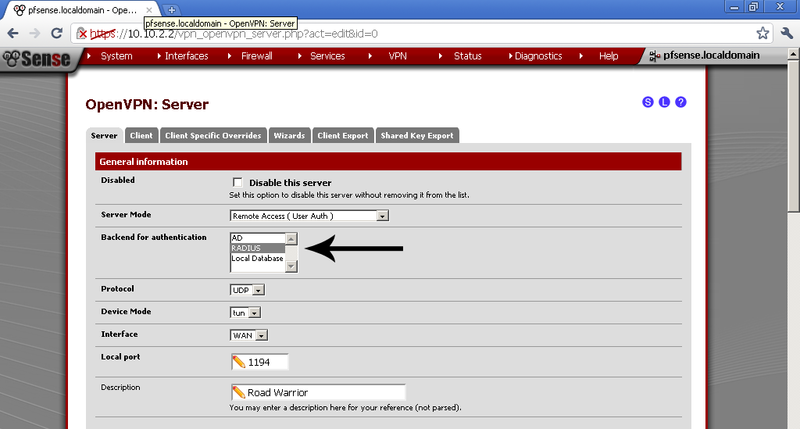 This is the last post in the series of authentication alternatives for OpenVPN in pfSense 2.0 RC1. In the previous posts we looked at the local database of pfSense and Active Directory. 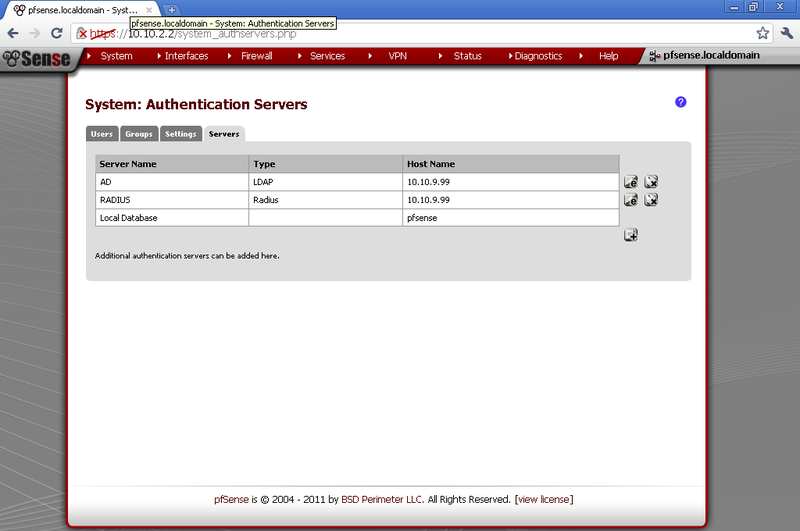 Now we will use Remote Authentication Dial In User Service (RADIUS) instead. Again we will authenticate our users against Active Directory, as domain user accounts. 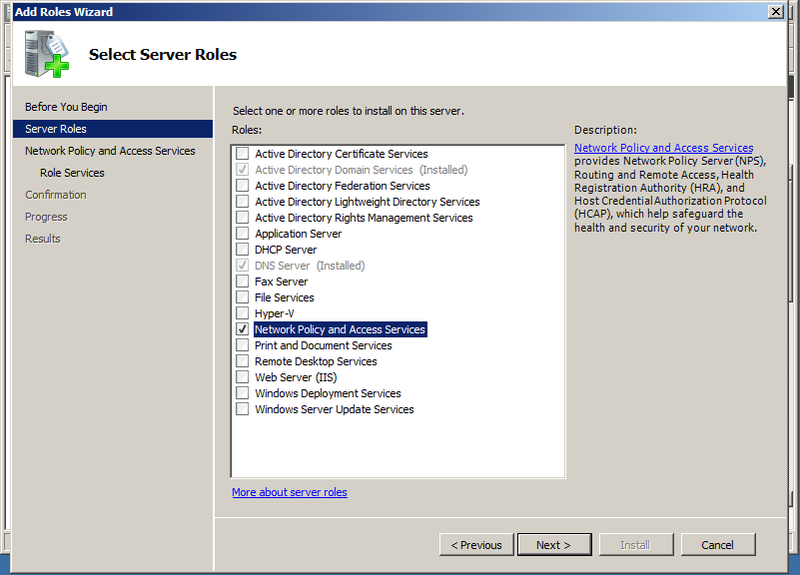 For that purpose we need to add Network Policy and Access Services server role to our Windows Server 2008 R2. 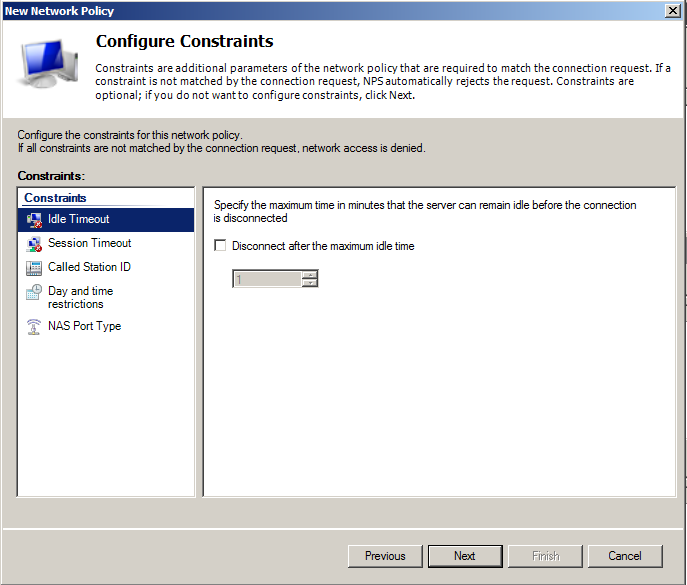 From the Role services select only the Network Policy Server. We don’t need any of the other services. After the successful installation, open the Network Policy Server console. 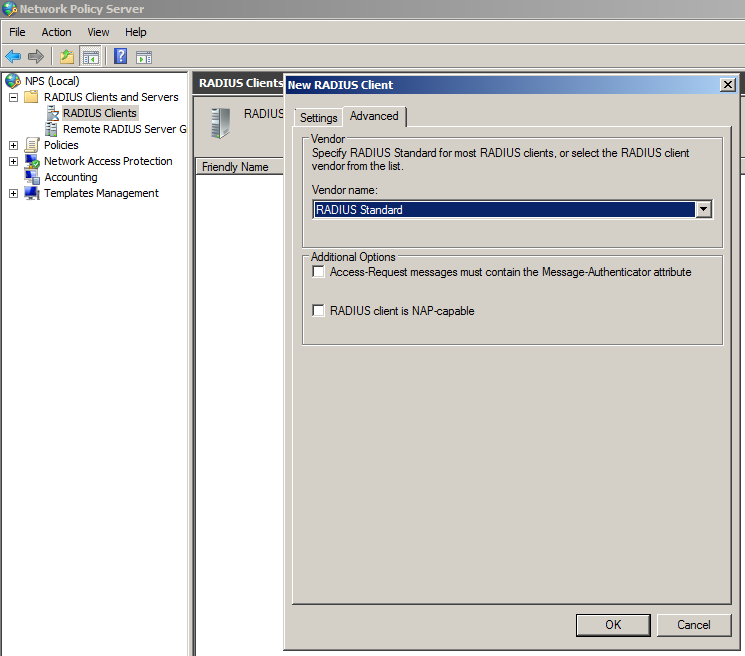 Under RADIUS Clients and Servers, create new RADIUS Client. 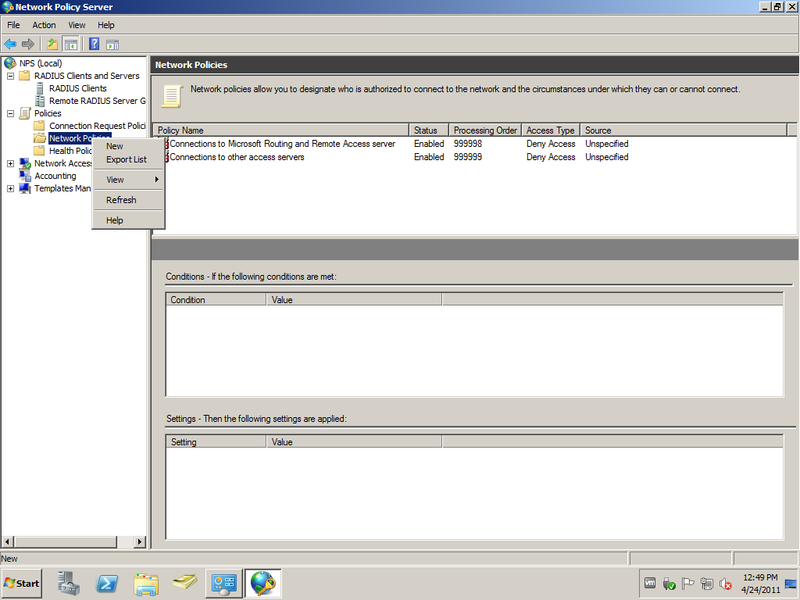 Take note of the Friendly name of the client, we will use is later in the Network Policy. In our case pfSense. Enter the LAN address of pfSense, and Shared secret. Leave the default configuration on the Advanced leaf. We won’t configure additional Connection request Polies. 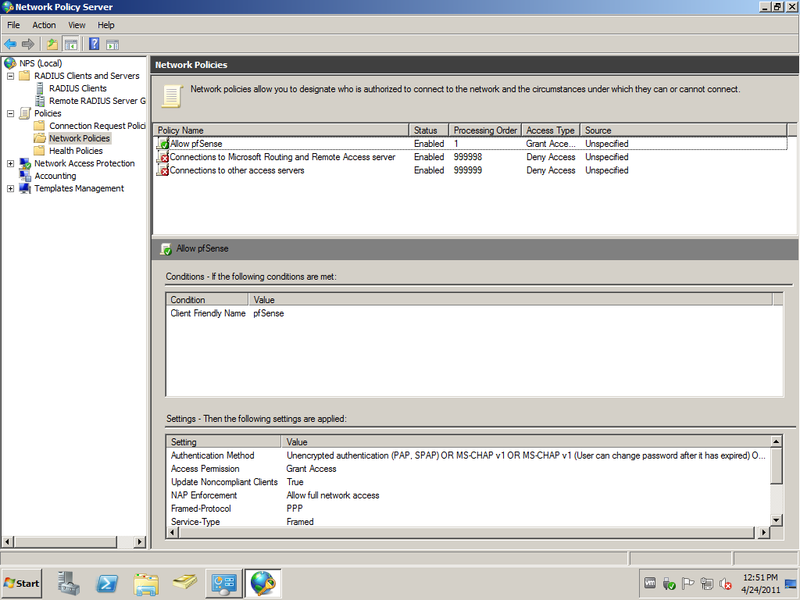 A new Network Policy is needed, because the default Connections to other access servers block requests send by pfSense. 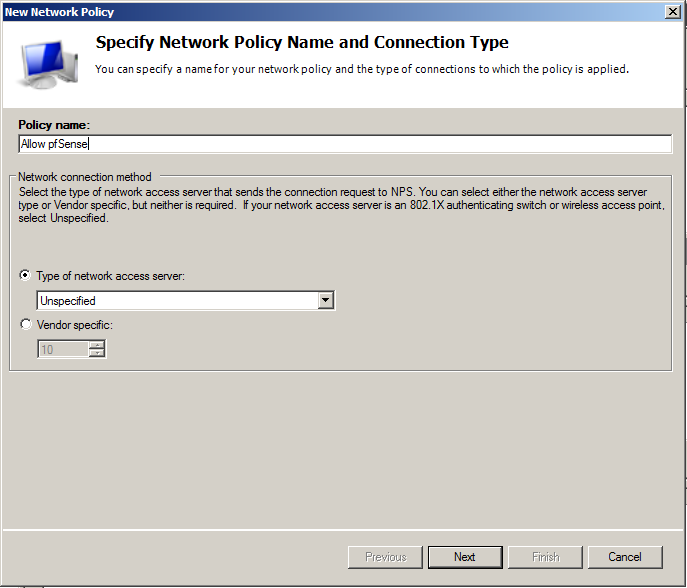 Enter Policy name of your preference, and leave the default Type of network access server to Unspecified. Otherwise your authentication request will be denied. For Condition, let’s add the Client Friendly Name. In our case the client is our pfSense router. 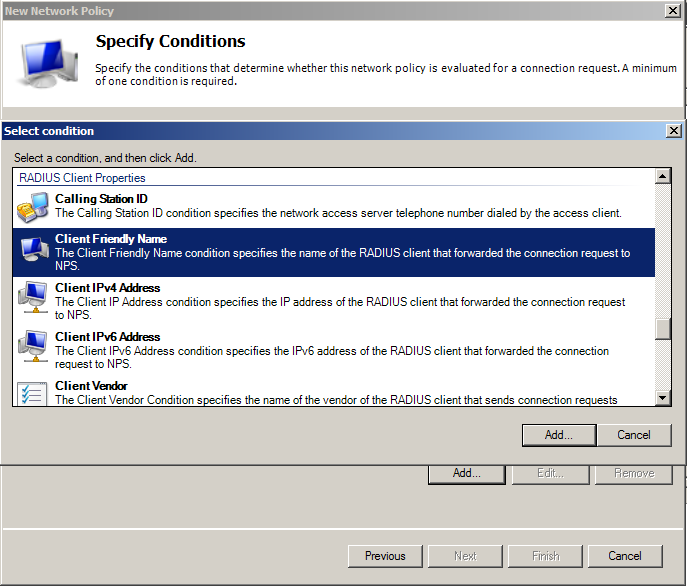 Type in here the Friendly name that you used in the RADIUS Client configuration. In our case pfSense. 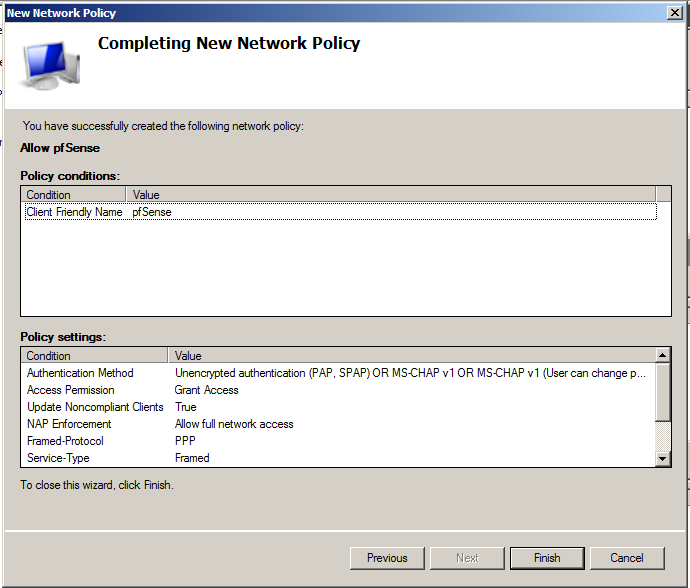 On Specify Access Permission, leave Access granted. As Authentication Methods add Unencrypted authentication (PAP, SPAP). The explanation follows later. Leave constraints to defaults, if you don’t have some specific requirements. The same is valid for Settings too. On your pfSense go to System > User Management > Servers add new. Enter descriptive name of your liking. As type select Radius. Enter the IP address of the server that we just configure to be our RADIUS server. Under Services offered, leave the default Authentication and Accounting. Take note that we have not configured accounting on our NPS service, but you could easily enable it. The default ports are fine. If you have Windows Firewall, or some other kind of firewall service running, make sure required ports are open. 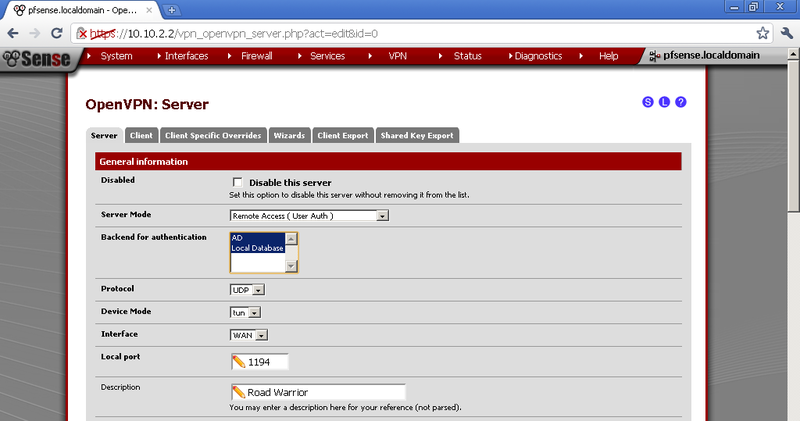 It is time to go to your OpenVPN Server configuration and select our new RADIUS provider as Backend for authentication. Now if you make test connection with test user, take a look at the security logs on the RADIUS server. 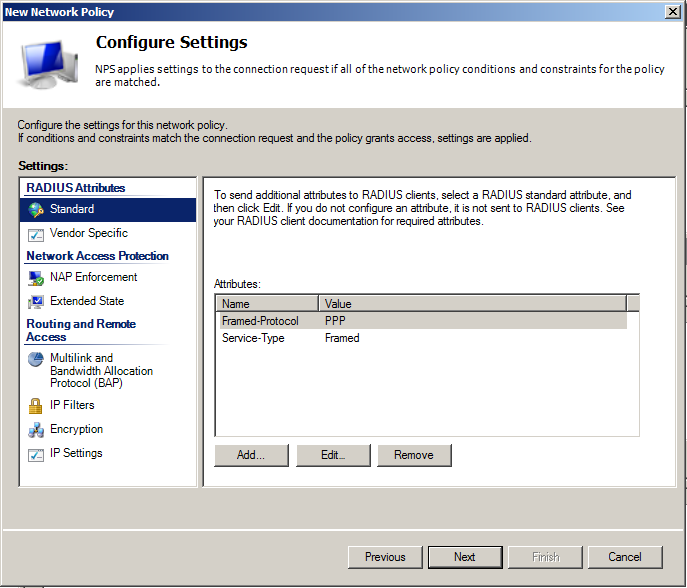 You will see RADIUS Client Friendly Name match out configuration, and which Policies were used, and that the Authentication Type is PAP, that is why we added it to the policy earlier. In the last post I’ve used Local User Database for authentication with the OpenVPN Server, but managing users in multiple places is redundant and should be avoided. 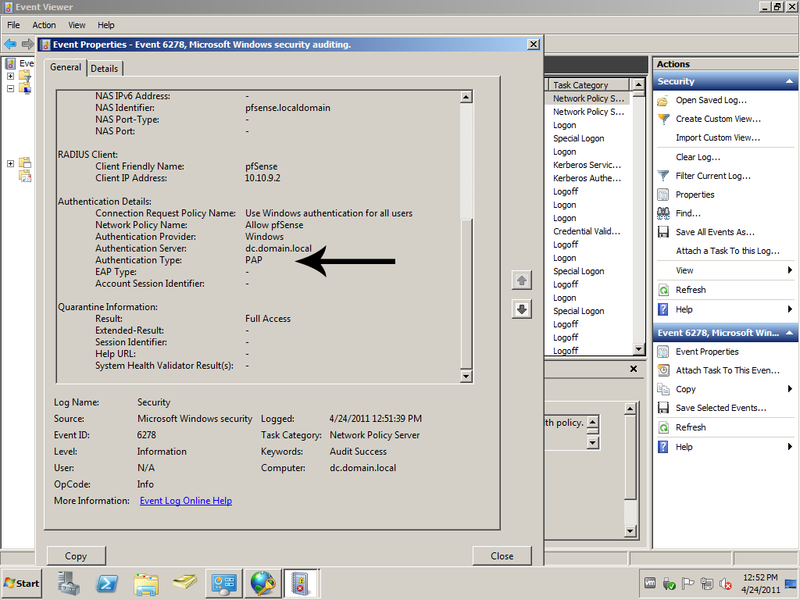 If your users resides in Windows Domain why not use a Domain Controller for authenticating VPN users. That’s way now we will use Active Directory. 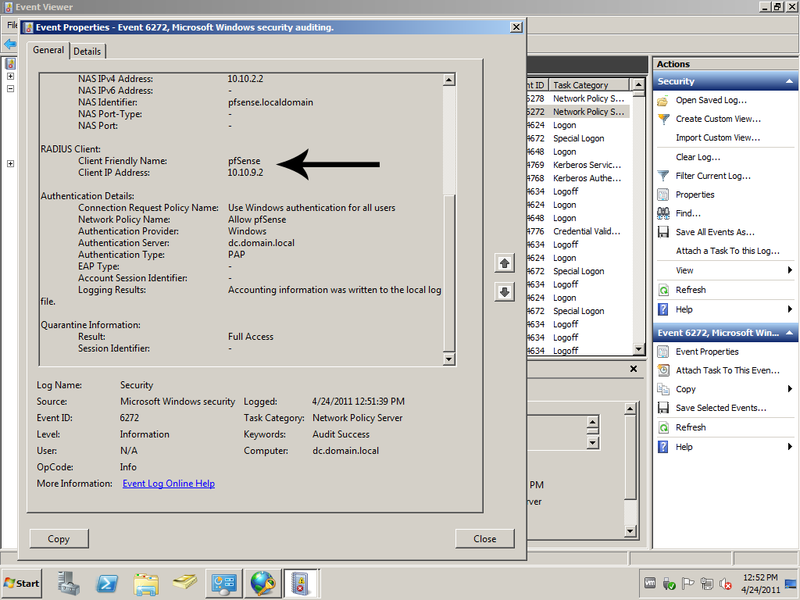 For the purpose I’ve setup a Windows Server with Active Directory Domain Services. In a new Organization Unit called Test Users, there are a service account (domain\vpnsvc), and user account with witch we’ll do the tests (domain\user2). Add new one with the + sign button. In the Search scope, you have to enter the Base DN, you can find it by using ADSI Edit. Now for Authentication containers, click on Select button and choose the ones in which users that will have access through VPN are. Remove the tick from Use anonymous binds to resolve distinguished names, and enter the credentials for your service account. In my case this is the domain\vpnsvc service account. As a LDAP server, select the connection that we have configured just now. Now you can connect to the VPN using domain users account, in my example domain\user2. 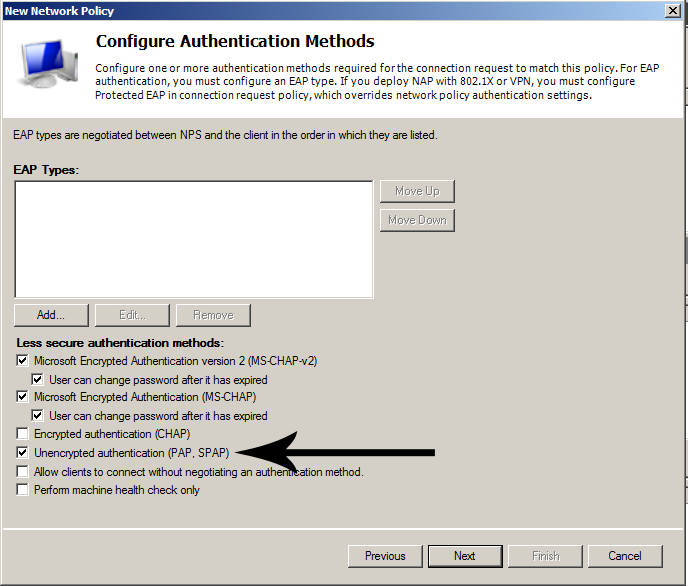 I’ve test is and now if you disable some user account in Active Directory, you will not authenticate with the AD, and consequently connect to the OpenVPN. 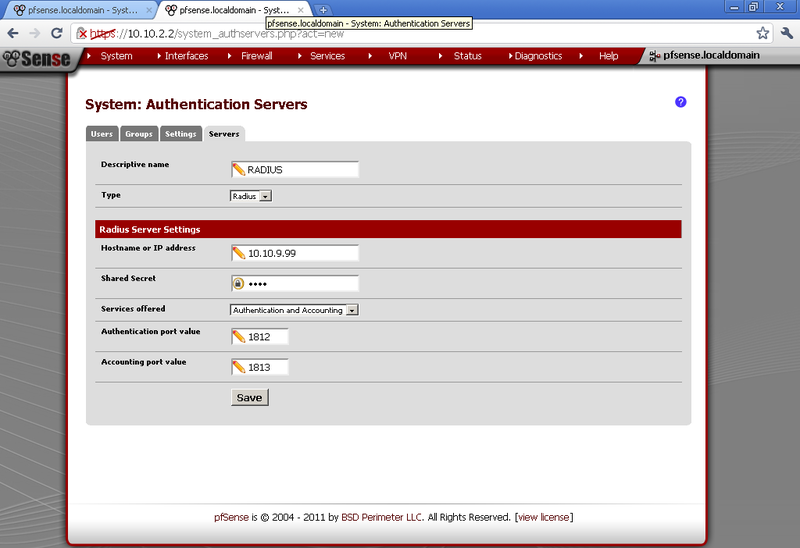 To extend the configuration you can use multiple backend service to authenticate. Open you OpenVPN server configuration and in the section Backend for authentication select also the Local Database, or any other available to you. There is a little flow in this method. If you have a user with the same user name and the same password, the request is send first to the AD and after that the local database is queried for the user. I’ve guessed it after a little network sniffing. However how often would you have duplicate users in both databases at the same time? So this is just for your information. Thank you for reading, have fun. What I was more interested in was the performance on Hyper-V VM. 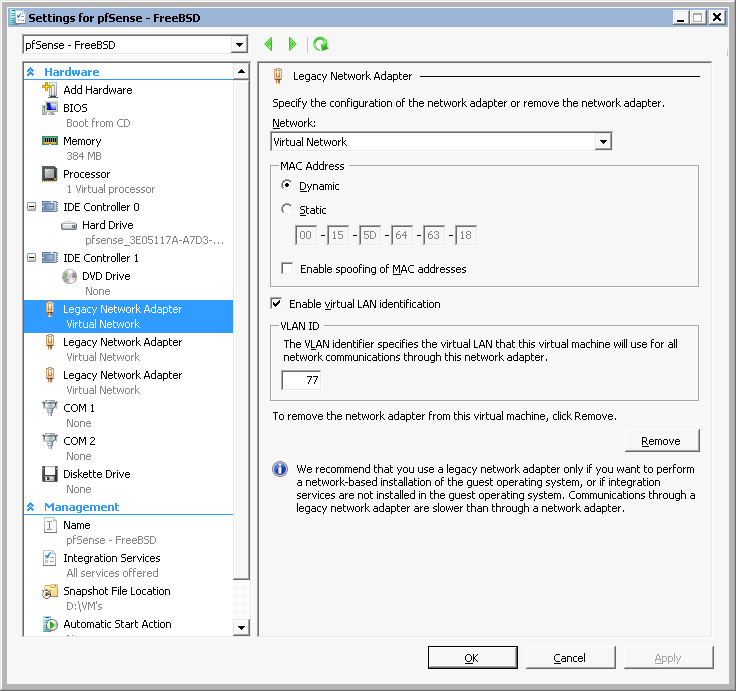 Recently I’ve setup a Hyper-V VM with 1.2.3 version and legacy network interface cards. Make a few quick file transfer tests and did not like the performance. I’ve repeat the tests, and there is a 25% improvement over 1.2.3. This is encouraging. Unfortunately event with the new version, it is necessary to use Legacy NIC for the Hyper-V VM. As it is stated in the Digest this is considered a stable release suitable for production use. I will continue the testing in production environment to get more realistic results. After seeing pfSense working more than half year flawlessly on Alix, recently I’ve test it as virtual machine. To avoid some compatibility issues a “Legacy Network Adapters” must be used. Just check before that the names of your interfaces, mine were de0,1. For now it is stable, no issues, with very basic configuration. On the forums there are topics about possible problems with VLANs, but I didn’t need this functionality.